It’s Who You Know We often hear that success in this life depends on who you know. Eternal life is all about who you know, too. 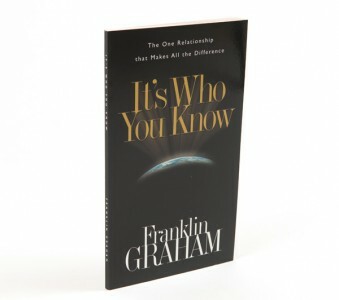 In his book It’s Who You Know, Franklin Graham shares the Good News that each of us can have a personal relationship with the most important person alive today - Jesus Christ. In four chapters, Graham outlines God’s plan of salvation and tells why knowing Christ as Lord and Savior is absolutely vital.